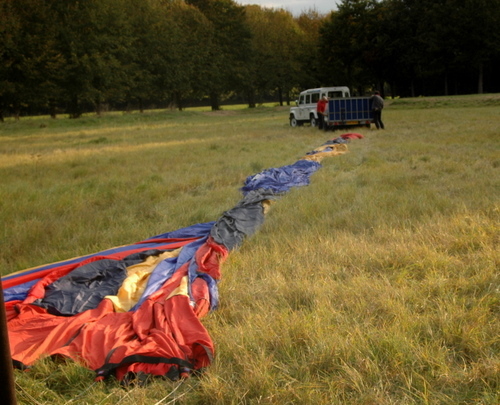 I had the opportunity to do some hot air ballooning recently. A wonderful experience and one I’ll definitely want to repeat, especially in the Alps. 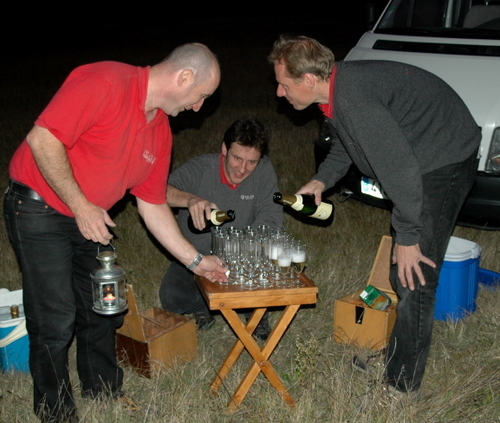 We took off from the chateau de Fontainebleau and landed an hour later somewhere southwest from there, where we were treated to champagne by candlelight. 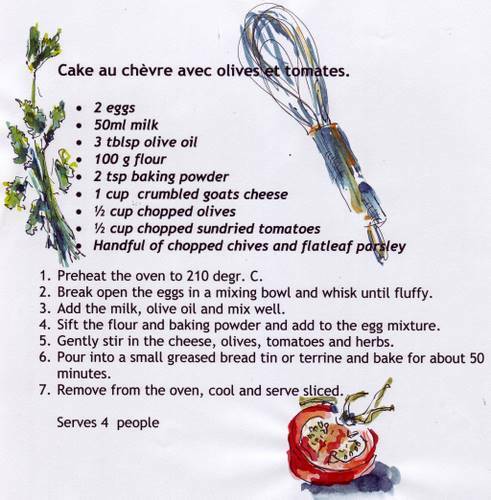 In the spirit of ending our flight with une coupe, I made a cake au fromage de chévre, avec olives et tomates. 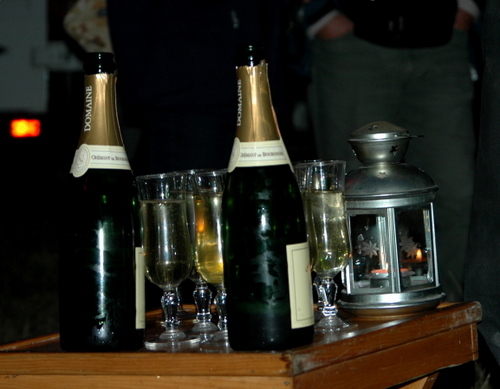 For when the knees get jittery after une coupe on an empty stomach! If you’re interested in seeing two sketches of this flight, you can go to Aricantapestry. Previous Article Vegetables “en cocotte”. Next Article Pineapple carpaccio with saffron syrup and pine nuts. This looks like a really fabulous adventure!! That’s definitely something I want to try some day!!! I love your sketches, too, Ronell. I wouldn’t dream of trying that up there, either!!! I’d be too busy enjoying the experience ;)) Glad you did them afterwards to share with us. Oh wow! Thanks for sharing all the pictures! 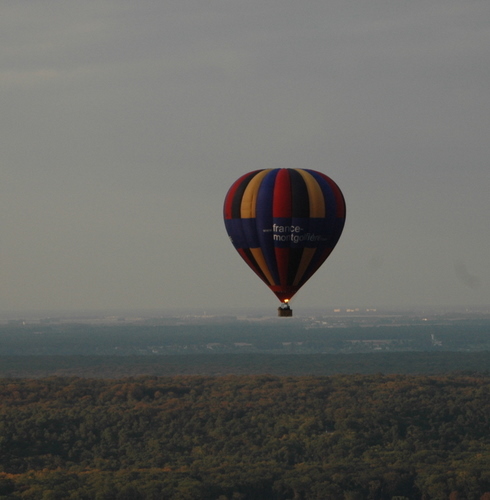 I’ve never had the opportunity to go up in a balloon, but it looks like marvelous fun! Oooooo! so glad to have YOU back in the blogging world!! 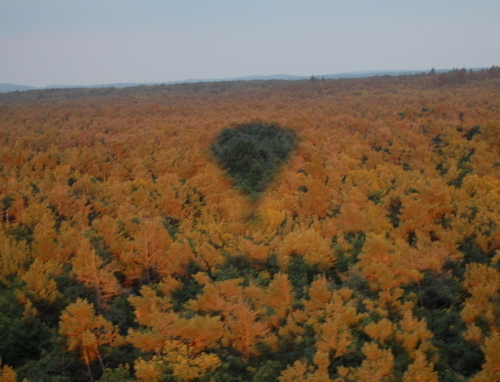 I just had to come here and see the balloon photos…. loved your drawings too by the way. the cake looks yummy….. I saved the recipe and may give it a try! What a lovely several days of posts. There is joy in your words, your photos, the recipes. Clearly you are on the mend, and amen to that. As for the cake, I have spent the entire week with a visiting daughter, but we must make this before she leaves to return to her family. Thank you for it and for being back. How exciting! That’s something I’ve been dying to do for ages but haven’t had the nerve so far. I loved your pictures. 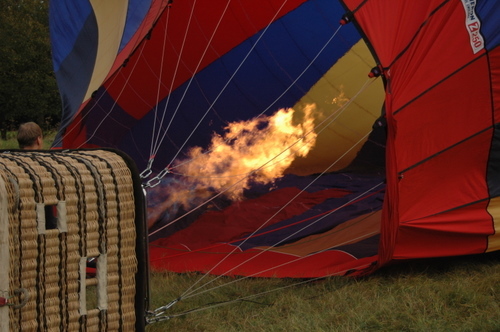 I would love to go up in a balloon, looks like it was amazing. Love the paintings too. The cake is absolutely amazing – I love the flavours in it and it looks dense and wonderful. 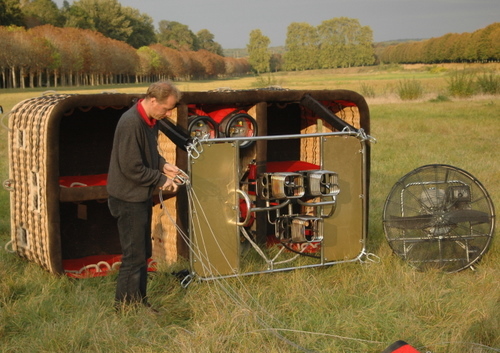 Hot air ballooning looks like such fun. 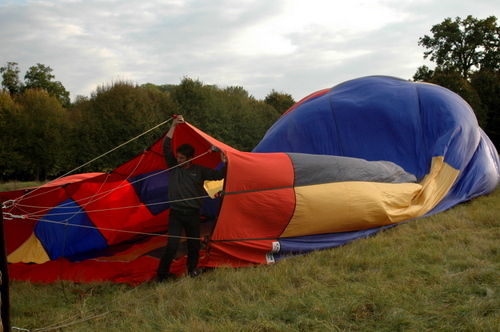 After Psychgrad almost took out a tree hot air ballooning, I thought maybe I just would leave it alone. Ronell, this is magical! I wish I was brave enough to get in one. I’m sure the experience is spectacular. 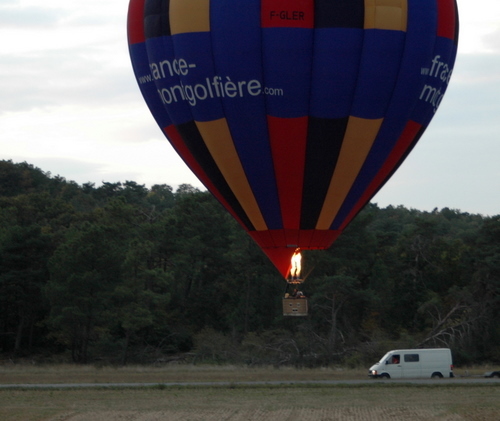 To go on a hot air balloon is my hubby’s ultimate dream…imagine if I can bring him to France to do it!!!! I however suffer from fear of heights……. A lovely cake too….I’d love to try it soon! The cake looks fabulous Ronell. But I get scared just looking at those balloon photos. I would have had to drink all that bubbly before I could get into that basket. Glad it was a spectacular experience for you! “80 days to go” Cute! Oh that cake looks delicious! 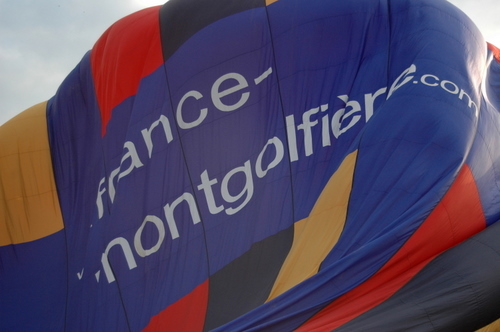 I too have been hot air ballooning and it was a wonderful experience – although I expect a trip over the alps would be a lot more exciting! That ride in the sky must have been simply spectacular! That looks amazingly fun and what beautiful scenery. 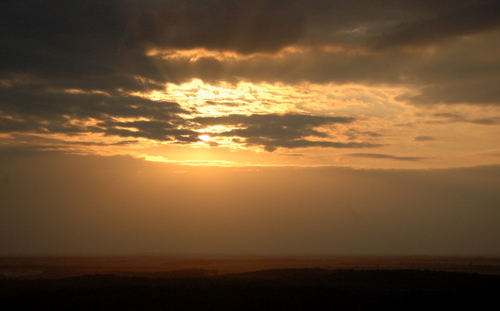 I once had the opportunity to ride in a hot air balloon over the Masai Mara. It was at dawn and very quiet and serene. What a magical experience and I am sure the views were magnificent! I can’t wait to try your accompanying recipe. It looks delicious. 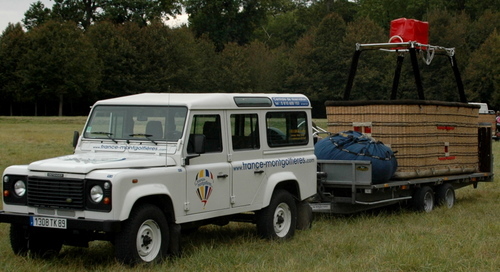 Wow, what an adventure – I dream of ballooning. 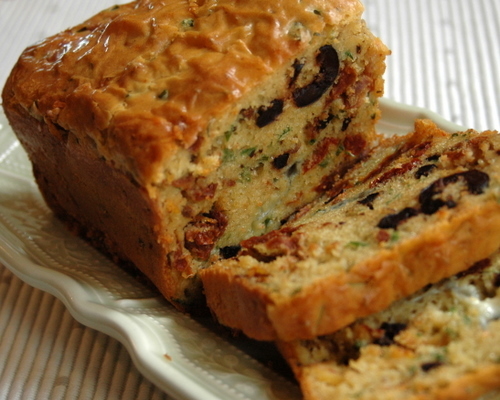 Really love the look of the loaf… on my list to try. How did I miss this post?What a great adventure and the bread sounds heavenly. Once I convert the measurements, I’m going to give it a try. The recipe illustrations are quite charming, too, Ronnell! MMMMMMMMM…That cake looks so appetzing!! Yum Yum!!! Wow!! Air -ballooning!! How lovely for you!! Beautiful pictures too! I just stumbeled onto your lovely blog & I am glad that I did! !